Great pull up banners will grab the attention of passersby and instantly increase the awareness of your brand and product. Easy to set up and take down and taking up limited space, our banners are ideal for events, trade shows, exhibitions, customer functions, conferences and much more. They are versatile and can be placed anywhere to advertise your services. 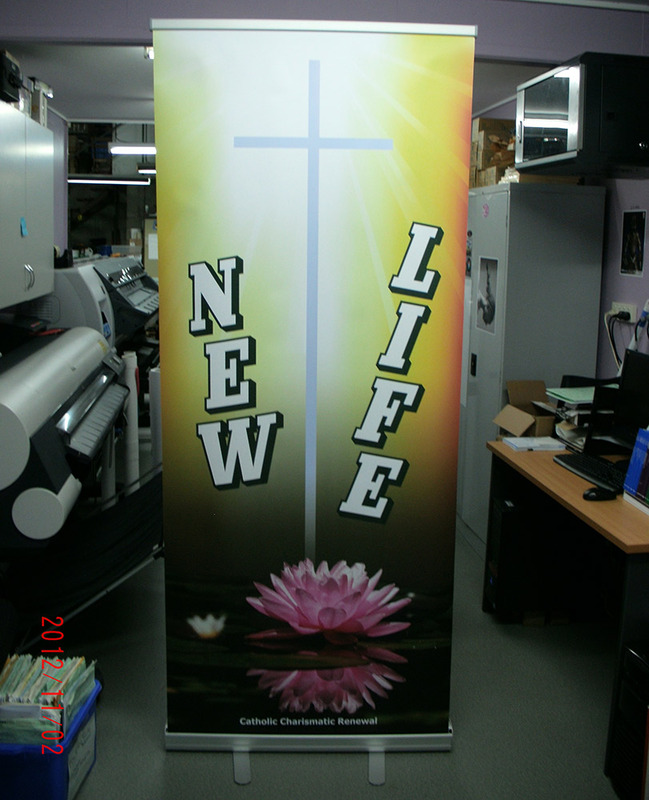 We provide custom print services to produce high quality banners for business events and corporate functions. Our professionally designed banners are a very cost-effective form of advertising your business. Our superior designs showcase your logo, display all the features and benefits of your product or service and give a professional and efficient image of your company. Another great fact is that the insert can be swapped out once your event is finished and can be replaced with a new one for a fraction of the cost of the original banner – how cost efficient is that! Quality pull up banners and display banners create a striking effect and will be eye-catching to people passing by. They are a terrific way to make an instant impact and get your company noticed. Our promotional printing technology and experienced staff create quality designs and finishes, and use superior materials to really make a statement about your business. Your expertly designed pull up banner brings attention to your event while taking up limited space. This is a big plus at trade shows and other exhibitions where space is at a premium. As your banners are so compact they are also easily stored. Our banners are easy to set up, requiring no technical expertise. They can be transported in any small vehicle. There is no technical knowledge required to put up and take down your banner. Our friendly staff will show you how this is done before the event if required. Banners create a positive impression of your firm for minimal cost, are easily transported and take up limited space at your event and when storing before and after the function. Our team is highly skilled and experienced in creating quality pull up banners for business events. For all of your promotional printing, custom print services, and large format printing contact us!